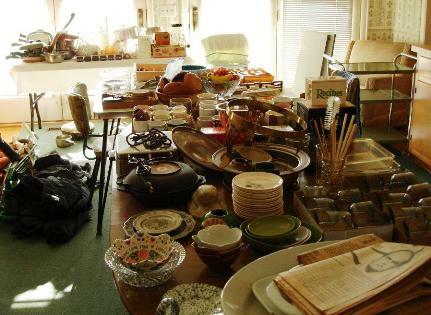 ����.a household full from their travels including Asian art from Thailand, Cambodia, Japan along with local artists; Depression glass; Blue Willow China by Nikko and over 200 pieces of Norleans White Dogwood china; new and old furniture; clocks; VVWI and WII items; tools�.. and more�..
On March 8, 9, and 10, 2013, household items of the Estates of George F. and Helen Weaks Snyder will be sold at the homeplace at 2620 Elder Mill Road, in Oconee County. The Snyder home site borders Rose Creek. The sale is being held by Susan S. Brinkley, Executor-Trustee, who is being assisted by Charles and Patsy Webb, of Watkinsville. They are in the process of arranging the items now. 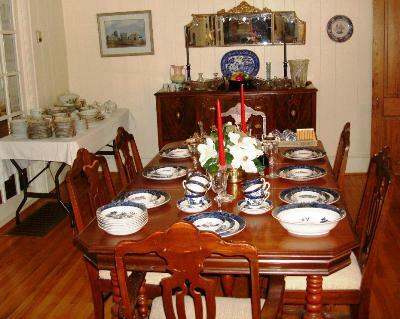 The Snyders were stationed in several countries during their Air Force career and filled a household full from their travels including Asian art from Thailand, Cambodia, Japan along with local artists; Depression glass; Blue Willow China by Nikko and over 200 pieces of Norleans White Dogwood china; new and old furniture; clocks; VVWI and WII items; tools; 1000 books; old records; vintage clothes and linens; jewelry; old toys even GI Joe! Everything, from Waterford to Hull pottery, and so much more. Please come down to this 110 year old farmhouse in beautiful South Oconee. Items are priced to sell. This sale is too good to miss!